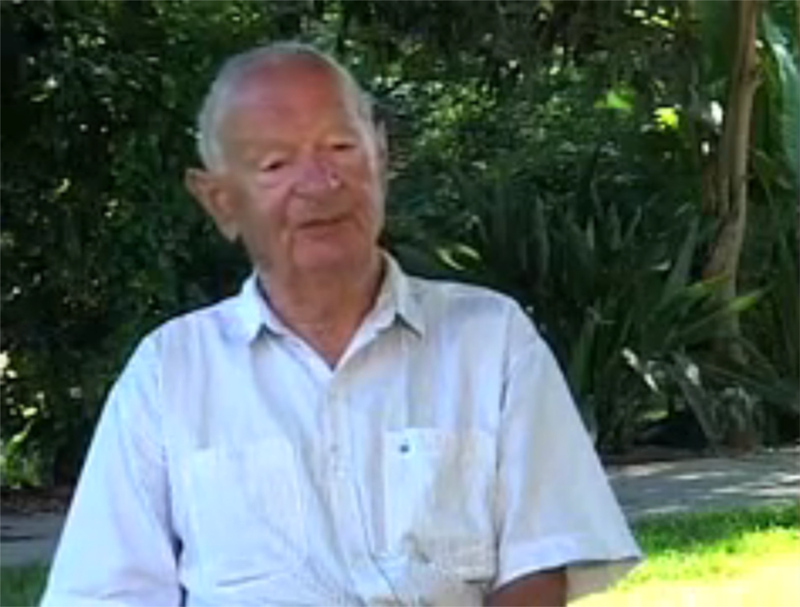 Meir Porges during interview with JPEF. Meir Porges was born in the Slovakian village of Mamoshova in 1920. Growing up under the Czechoslovakian government, Meir experienced little antisemitism. It was only with the creation of an independent Slovakia in 1939, led by German collaborationists, that the situation of Slovakian Jews began to deteriorate. In 1940, Meir was drafted into the Slovakian army. As a Jew, he was not allowed to carry a weapon and instead worked as an auxiliary doing manual labor. 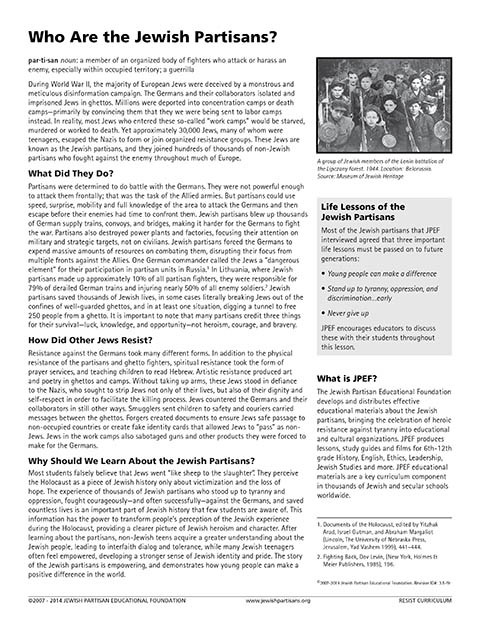 As the war dragged on, persecution of Jews increased. In 1942, the year that the first trainloads of Slovakian Jews were sent to Auschwitz, Meir was discharged from the army and sent to a forced labor camp. But he was lucky: the men guarding him had been mellowed by age and the general morale of the pro-German Slovakian army was falling rapidly. In 1944, as anger with the government mounted, the guards deserted the camp, and Meir was left to join the rebel forces in the brief and bloody Slovakian uprising. 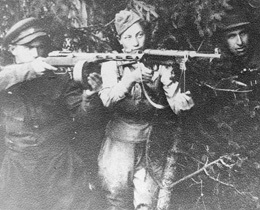 As a rebel soldier, Meir learned how to use a gun and helped his countrymen cut off the retreat lines of the fleeing Germans. By the time the revolt was crushed and the Germans had reoccupied the country, Meir had secured Gentile identity papers and slipped off into the rebel stronghold of the Slovakian mountains. He spent several months fighting alongside the Russian partisans, conducting sabotage operations and search-and-destroy missions. Meir remembers waiting for it to snow to carry out attacks against the Germans, engaging in fierce battles. Building fires was not allowed, for fear that it would give away their position. The partisans were forced to seek warmth lying under pine needle branches and layers of snow. When the Russian supply lines were cut off and the camp descended into near-famine, Meir was asked to leave. He descended from the mountains and found work in a nearby village. After the liberation of Slovakia, Meir, who had been active in Zionist organizations as a child, immigrated to Israel where he joined the nascent Israeli army and fought in the Arab/Israel War of 1948-1949. Meir Porges passed away in December of 2011.